Ramadan Begins – July 18th « Dr Deborah Swallow – Global Cultural Diversity.. In addition to confusion around specific fasting times, there’s also some debate around the start and end date of holy month. Ramadan begins when a new moon first appears. Islam has its origins in the Saudi Arabia region, and some Muslims believe that sighting the new moon from there should mark the beginning of Ramadan everywhere in the world. Others believe that the new moon can be sighted from individual countries. This is why, it’s difficult to pick a side and say whether Ramadan begins today or tomorrow. In the media, a lot has been written about fasting in relation to diets and lifestyle in the recent years. However, we should remember that Ramadan is not only about not-eating. Ramadan is a time for spiritual reflection and prayer. It’s a time when one must strive to improve oneself through self-discipline. As guided by the Koran: ‘Purity of thought and action is paramount’. 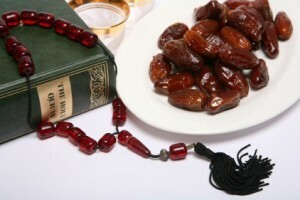 For most, Ramadan is about spending time with family and friends and carrying out good deeds and charitable giving. On this Holy month of Ramadan, may you be blessed with good health, prosperity, and may Blessings always shine upon you! What is it like to fast for a month?